Home BlogInternalWhat Is a Chartered Financial Planner? Chartered Financial Planner status is regulated by the Chartered Insurance Institute (CII). There are two different types of status that can be certified by the CII to financial planners, individual and corporate. Firstly, individual financial professionals can gain chartered status. This is done by taking the Advanced Diploma in Financial Planning (APFS) and also having five or more years’ experience. The APFS can only be entered after taking the Diploma in Financial Planning or Diploma in Regulated Financial Planning. The APFS is a rigorous course, marked in one three hour exam and takes around 1,000 hours of study to complete. Once passed, chartered status is conferred when 5 years’ industry experience is complete. Both experience pre – and post – passing counts towards this value. Additionally, an organisation can be awarded a Corporate Chartered title in financial planning. This covers the whole business and is awarded based on the organisations being “competent, knowledgeable and ethical in their dealings”. 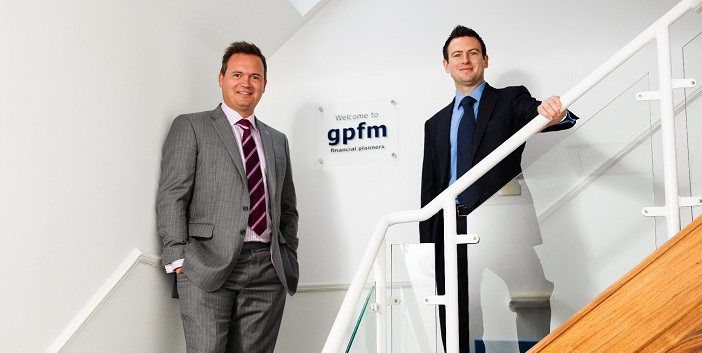 Corporate Chartered Financial Planner status is given to those planners like gpfm who have a strong commitment to the professional development of all employees and engage strongly with the CII and other professional qualifications. It is the highest mark of trust, capability and professionalism in the industry. At the heart of the CII charter is a code of conduct that places the client’s interests first. Chartered Financial Planners sign up to an ethical code and commit to continuous professional development to keep their knowledge of the ever-changing financial planning industry current. We at gpfm are proud to be a chartered organisation. We are one of only three chartered financial planning firms in Hertfordshire. Browse our chartered professionals today and see how our expertise can benefit your financial interests. Call 01992 500261 or email enquiries@gpfm.co.uk.